Our tour of the counties of England continues and we're creeping northward from Somerset and northeast from Dorset to take a look at the next two flags on deck: Wiltshire and Gloucestershire. Since we're kind of moving into the less obvious parts of England (and because, honestly, I've never known the counties of England nearly as well as I should) we might as well talk about where Wiltshire and Gloucestershire actually are. Wiltshire: find London on your old Google Maps, zoom in a bit until you see the town of Reading off to it's west. Just to the south of Reading you should see the M-4 Motorway, Follow it west until you get to Swindon and bam. You're in Wiltshire. (Chippenham, Malmesbury, Warminster, Salisbury, Amesbury and Marlborough all form a loose perimeter of the counties boundaries. Known as the Severn Cross, this flag was adopted in 2008 as the winning entry in a competition held by the High Sheriff of Gloucestershire to celebrate the 1000th anniversary of the county. There's really not a lot of this this flag, except that I'm honestly not sure about the color scheme. It seems almost faded somehow and I'm not especially sold on the combination of the colors either. It's more... 'eh, another cross?' But I'll give them some credit. 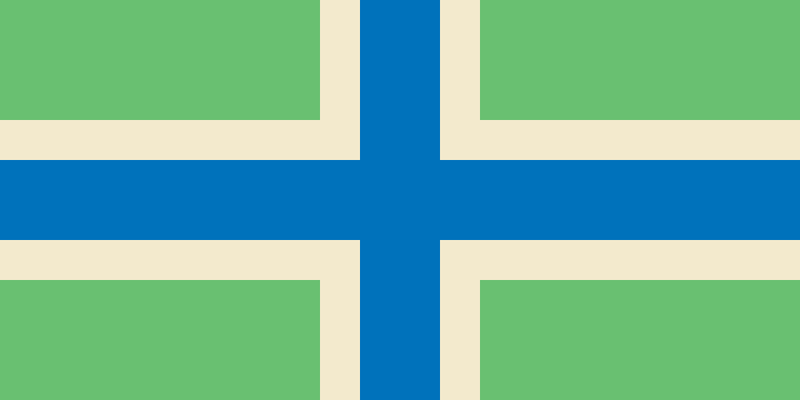 The symbolism of the flag is nice and easy as well: the blue of the cross stands for the River Severn, green stands for the Golden Valley and the cream in the flag stands for the stone of the Cotswolds. 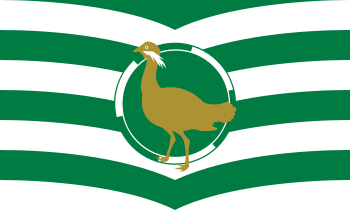 So there you have it, the flags of Gloucestershire and Wiltshire! Remember, until next time keep your flags flying FREAK or otherwise!